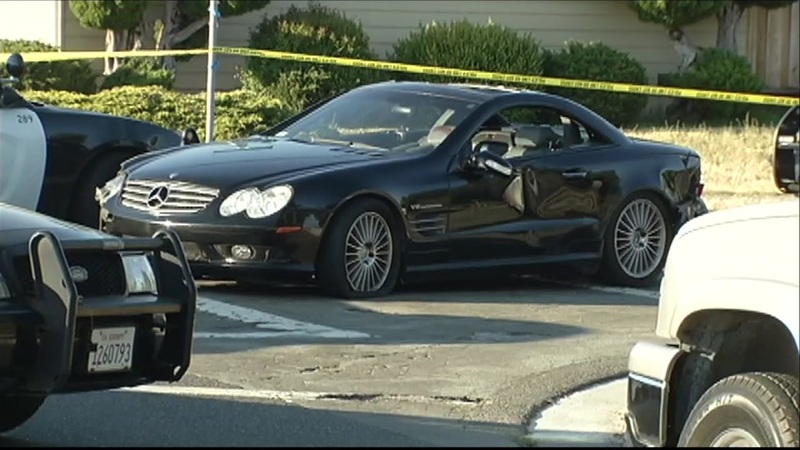 HAYWARD, Calif. -- Police in Hayward are investigating an officer involved shooting that occurred Saturday afternoon, after a suspect allegedly injured at least two officers with a vehicle. According to police, officers responded to the 900 block of Cheryl Ann Circle at 4:42 p.m. on reports of an occupied stolen vehicle. Officers located a black Mercedes that intentionally began to ram the responding police vehicles upon arrival. Police said officers at the scene discharged their firearms as the vehicle struck an officer, who was on foot. The vehicle collided with at least two other vehicles before coming to a stop at the intersection of Patrick Avenue a Gomer Street, where one of the suspects fled but was captured a short distance away. A second suspect remained in the vehicle and had apparently sustained a gunshot wound. He was taken to a hospital for treatment however his condition was unknown. At least two officers sought medical treatment for their injuries following the incident, and both are expected to recover. The names of the officers who fired their guns are not being released at this time, and the incident is currently under investigation.